What is the best strategy to win the lottery? 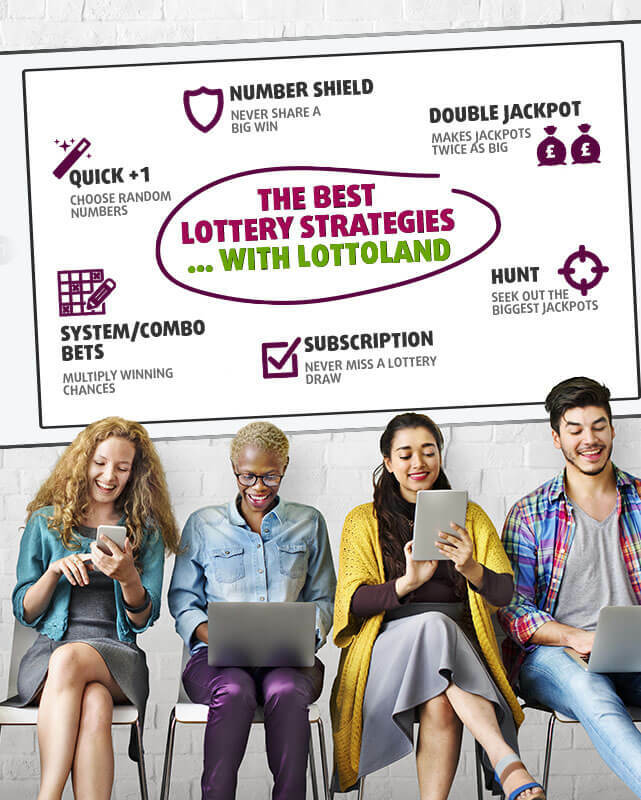 There are so many different features available at Lottoland that it can be difficult for newcomers to get their heads around all the different lottery strategy options. That’s why we are going to take a look at some of the different ways you can tailor your lottery strategy to what works best for you. A lot of lottery fans have their own favourite numbers, whether those be birthdays, ages, number of cats or house numbers. The bad news is that a lot of people's lucky numbers are the same, meaning a higher chance that prizes will be shared. For everyone else, there’s the Quick + option which allows you to select random lottery numbers at the click of a button. You also have the option to click the ‘Rest’ tab which will complete all of the available tickets randomly for you. Within a card you will see a ‘magic wand’ symbol which also allows you to select a random combination of numbers. By clicking this button again you can generate a new bunch of numbers until you get one you like the look of. One of our favourite options, the Number Shield allows you to protect your chosen numbers so that if your numbers come up it won't matter if anyone else picked the same selection. The advantage of this is that it means you will not have to share your winnings with anybody else, so a jackpot win will be yours and yours alone. Note that once you activate the Number Shield you will not also be able to choose the Double Jackpot option. To use the Number Shield will cost you half the price of your selected line. We mentioned the Double Jackpot above, and this is one feature you won’t find in your local post office or shop with a regular lottery. Double Jackpot does exactly what it suggests, by doubling the maximum amount you can win. So if the EuroJackpot top prize is £80 million, you can choose to place bets for £160 million by activating the Double Jackpot option. The cost is double the price of a normal line, but remember that it can’t be used when the Number Shield is activated. This is one of the special features available to Lottolanders which a lot of people don’t even know about. That’s how special it is! Normally you choose a standard set of numbers for the lottery you are betting on; so for example you choose 6 numbers for the Irish Lotto, 5 for the US Powerball and so on. The System (or ‘Combo’) bet allows you to choose additional numbers so that you can bet with different variations of all the numbers you select. So by picking 7 numbers for the Irish Lotto instead of 6 you will bet on 7 different combinations of 6 of those numbers to increase your chance to win. If you picked 8 numbers then 28 variations of 6 of these will be used. Of course, you are paying for every combination so choosing 7 numbers would mean 7 times your stake as well as multiplying your chances of winning by 7. Clicking the Subscription button means that you will never have to worry about forgetting to bet with your numbers. You can choose a time period of between 1 week and a year, and if there are multiple lottery draws you can choose to bet on only one per week if you want. So for example, you could choose to bet on the WorldMillions Sunday draw for the next 4 weeks and omit the Thursday draws. 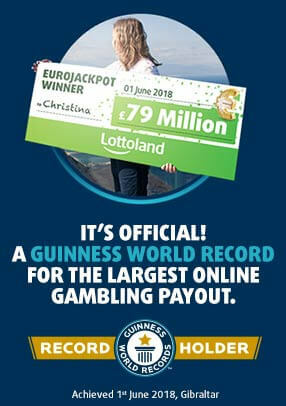 Another great feature popular with those who only have eyes for the big money jackpots. By clicking the Hunt feature you will automatically enter each lottery until the current jackpot has been won. That gives you the opportunity to chase those big rollover jackpots. The Participation option works along similar lines, as this allows you to set a minimum jackpot amount and you will not be entered into draws when the jackpot is lower than this figure. Hopefully this run-down of all the available features has given you food for thought, and shown you just how many ways there are to bet on the lotteries at Lottoland. Our aim is to enhance the lottery betting experience for our customers, and we believe that the lottery strategies outlined above allow you to tailor your lottery betting needs to your exact requirements.